RideLite International LLC is a company driven by the passion to design, manufacture, and market innovative products that deliver safety. Just as our name says, our goal is to boldly impact numerous industries on a global scale, leaving an abundant wake of integrity behind us as we move through the lives of our customers and clients. The RideLite™ is a Communication Safety System, which includes a streamlined housing of high-intensity LED lights. This light system warns oncoming trail traffic of the riders in your group, eliminating the need to use the unsafe, outdated hand signal system. The group leader and his/her followers all display yellow, while the last rider displays green. Yellow indicates caution, riders approaching while green indicates the last rider of that group. This system also has a hazard mode which is indicated by a flashing yellow. 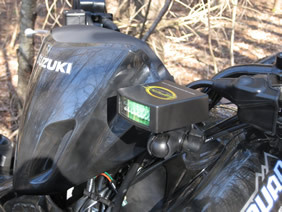 The hazard mode alerts oncoming riders of trail hazards. 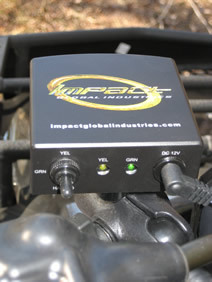 The housing is attached to the left-hand side of your ATV/OHV on the left handlebar near the brake reservoir.